Motorcycle enthusiast and world-traveler Keith Thye changes routes from his engaging memoirs to an invigorating story of good intentions, bad luck, and the intricacies of strangers in The Misadventures of Rusty Kenneficke, the first novel in what will become a thrilling trilogy. Thye manages to capture the ominous feeling that nothing is going your way with his character Rusty, a man who just needs a break. 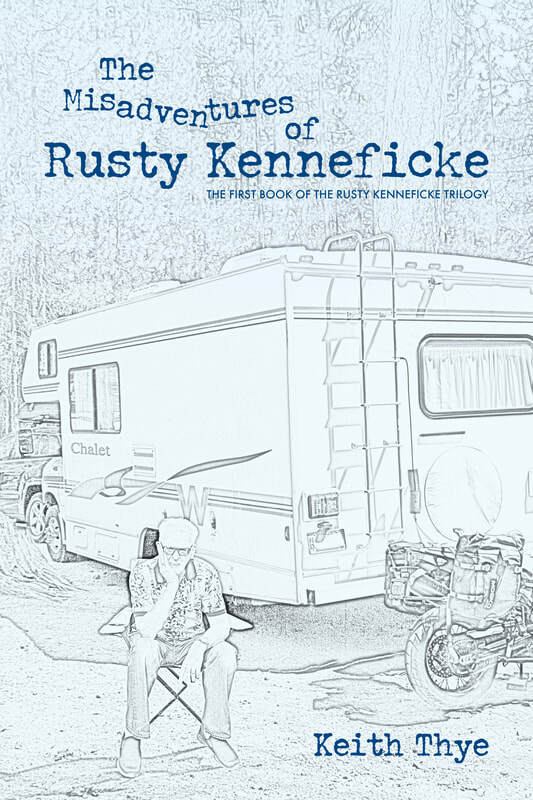 The Misadventures of Rusty Kenneficke follows its main character through a cross-country journey and a series of roadblocks in a way that makes it easy to empathize with Rusty and his undeserved misfortune. A wild rollercoaster of catastrophe interspersed with short bouts of reprieve, The Misadventures of Rusty Kenneficke emulates all of us when we feel as though the world is determined to beat us down. Keith Thye is a seasoned author with multiple successes under his belt already, and he has written another page turner that will be hard to put down. The Misadventures of Rusty Kenneficke is here to tell all of us not that the world is against us, but that even when it feels that way, hope comes from unexpected places.